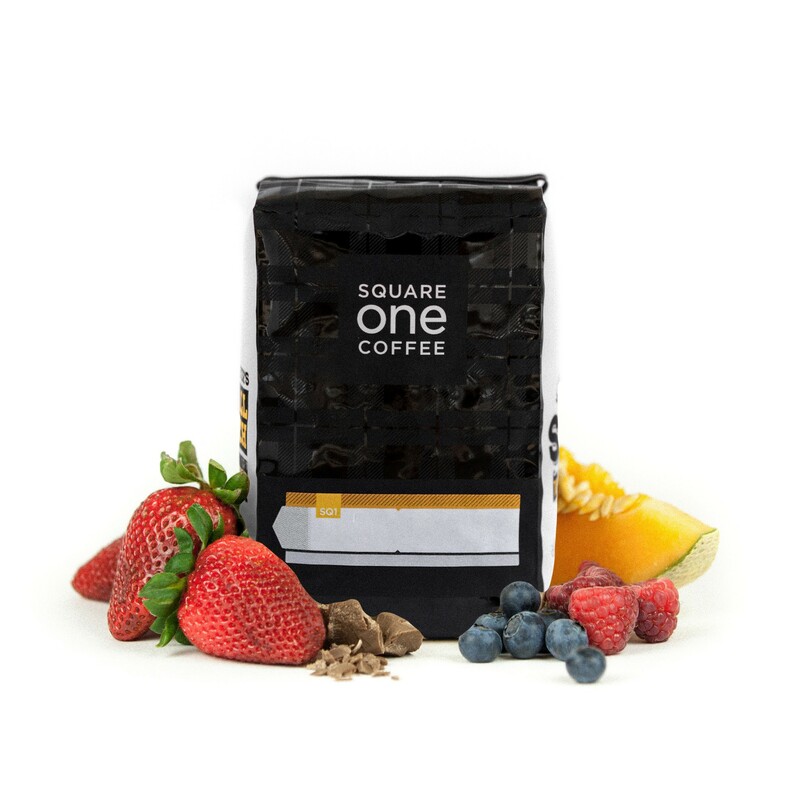 This is the Zambia Kateshi brought to you by Square One Coffee. This fully washed coffee was grown by the Kateshi in the Northern Province region of Zambia between 1,350 - 1,500 meters above sea level. We love this coffee for its nuanced notes of tropical fruit and citrus acidity with a juicy overall quality. I liked it better than the supernova! It tasted sour (my only critique is too sour at times). It was the perfect roast. Thanks! Fine sipping coffee. A little less interesting when hot, and a little more acidic when cold. I see what people are saying about the "juicy" flavor. Wouldn't buy it at the store, but glad to have tried it. Dooooooope. Best cup I've made probably. Super juicy. Absolutely delicious! We tasted chocolate, cherry, blueberry and mixed peel. Yummy and smooth, our favorite! It was flavorful. I couldn't personally pick out particular notes, but have enjoyed the cups I've had. An example of why African coffees tend to be our favorites. Subtle and complex, citrus and even some smoke. Gorgeous. Love this roast. Can definitely taste the melon/fruit. This coffee gets so tasty the colder it gets. I love the full, juicy mouth-feel to this coffee, and the acidity. This is my first Zambian and I was very happy with the overall quality of the beans in the cup! It was bright and very complex. In my opinion a great morning wake-up type of coffee. The sweetness was similar like a fresh pineapple juice. It isn't at all your everyday chocolaty,nutty, brown sugary coffee. Those are great too... but the complexity of this coffee was really a surprise. Even a home brewer like myself could get lots of flavor out of this coffee. Loved it. And it wasnt even a natural processed bean so the fruitiness was nicely subtle and nuanced. we like this one best so far. a bit more nuanced than the others. Very good. The fruit notes are delicious. A little on the bitter side compared to the first bag (guatemala limonor) . I usually like coffee beans from this region so I was surprised. Still good. So the good news is that I finally got an electric kettle to make my coffee with, and I have definitely noticed a huge difference in how the taste notes come out using that. I think it'll be a lot easier for me to do my reviews from here on out. I'm really enjoying this coffee, I can definitely taste the bright fruity flavors in it. It tastes more sour to me rather than acidic. I think the darkness of the bean is right around what I normally like as well. I definitely wouldn't say that it has a burnt taste, so I guess the alternative would be roasty...? Not quite sure what that word means exactly though. I'm really enjoying this one. It tastes a little cleaner and clearer to me than my previous selection. I like that you can taste the bright, citrus notes and that it's lighter and less earthy on the finish. Tastes like strawberries to me, the acidity is not overwhelming and contributes to the fruity flavor. I brewed with a Chemex, V60, and French Press, and the V60 highlighted the coffee's flavor the best. The Zambia Kateshi was a new experience for me. I've never tried a Zambian coffee before, but I would again after this! This bean was much more sour than Onyx's Colombian, but not as bitter, which I thought was better. Usually I like coffees to be sweeter and less bitter overall. I think the color of the roast was perfect for my taste, since I enjoy light and city roasts the most. It is good with a chemex, but better with a v60, and I have yet to experiment with my aeropress. Overall, I think that the Zambia is my favorite so far. A mix of citrus and tropical fruits delivers a tangy body with a potential sour ending note. On coarse grind this coffee can be enjoyed a a mellower brew. I tried this a few times on a AeroPress and press pot, finding it difficult to drink. Great alternative to Ethiopian varieties. Very citrusy and bright. Great coffee to start the day. This was a nice light roast. A little more acidic than I enjoy. Fruity as all heck. Very tart, which isn't my favorite profile in a coffee.